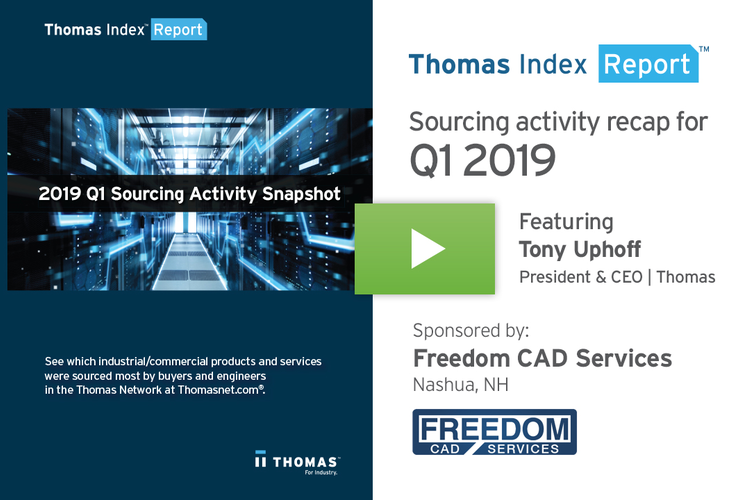 This Thomas Index Report is sponsored by Diamond Technologies, a leading provider of solutions for business automation, data collection, industrial networking, and remote management. 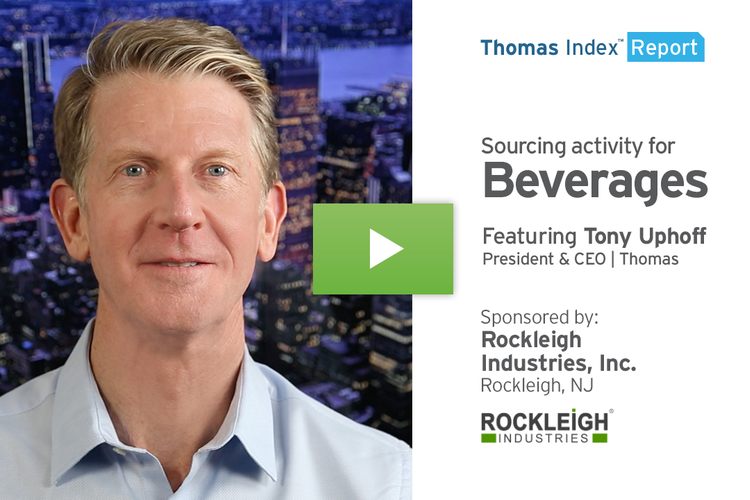 In this week’s Thomas Index Report, we’re going to take a look at sourcing activity for Barcode Scanners by users of the Thomasnet.com platform. 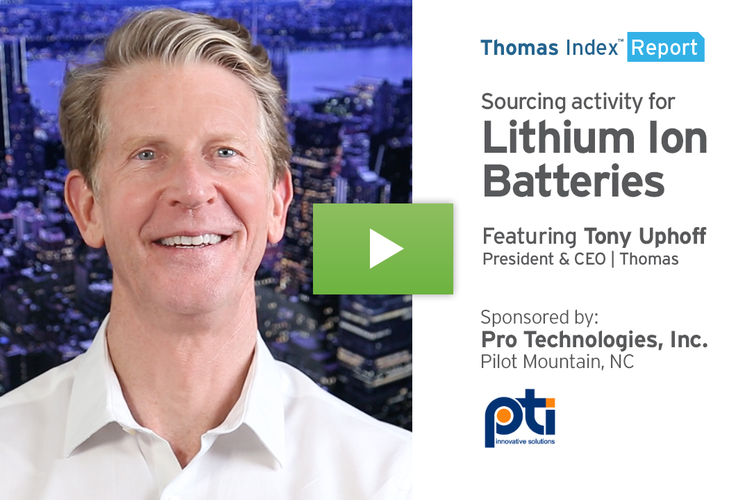 Our data shows that over the past twelve weeks, sourcing activity for this category is up 9% over its historical average. Our firmographic buyer data shows that three of the top industries driving this trend are Industrial Equipment Manufacturing, Software & Technology, and Transportation & Logistics. On the morning of June 26, 1974, the very first item ever marked with a UPC code was scanned at the checkout line of the Marsh Supermarket in Troy, Ohio. That pack of Wrigley’s Juicy Fruit chewing gum was the first of billions of products that would be scanned in supermarkets and retailers in the following decades. Today, barcode scanning technology has advanced to go well beyond the checkout line. According to GS1, the organization that maintains international UPC standards, more than five billion barcodes are scanned every day to perform a huge range of automatic identification and data capture tasks. Barcode scanners are ubiquitous across virtually every industry, from education and healthcare to telecom, utilities, and oil & gas, to sports and entertainment venues and beyond. As a key technology within Industry 4.0, today’s advanced barcode scanning combines with other technologies, such as radio frequency identification, or “RFID” data capture, and relational database software, to track and trace assets, products, parts, and people throughout every link in the supply chain. 44 years after that first pack of gum, barcode scanning continues to be a growing market, accounting for over $2 billion globally in 2017 according to BisReport. 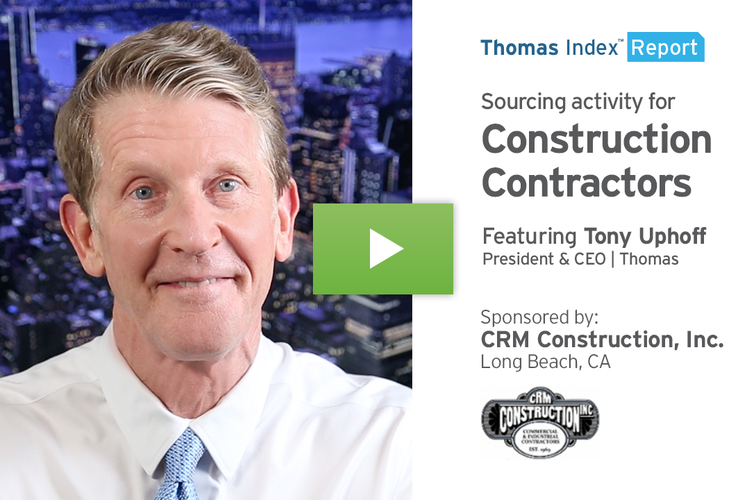 We expect sourcing in this category to remain strong as demand from the industrial sector continues to rise. In addition to sourcing for Barcode Scanners, our data also shows that sourcing activity is up 8%, month over month, in the related category of Barcode Labels. 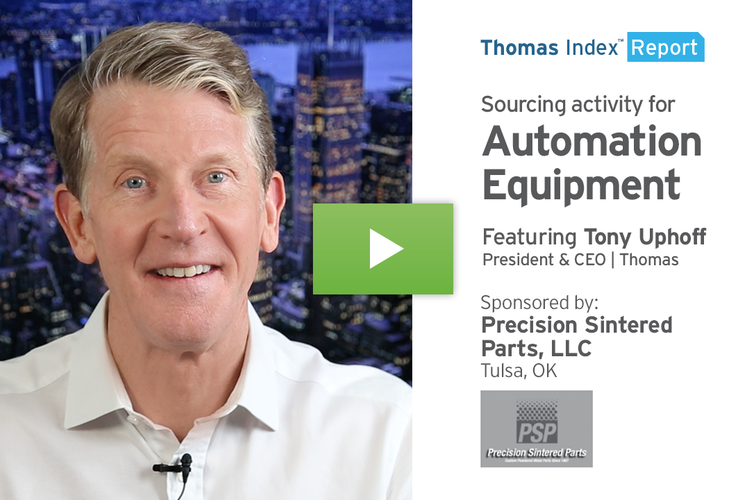 Moving on from Barcodes, here’s a look at the top 10 industrial product and service categories being sourced on the Thomasnet.com platform over the past four weeks. 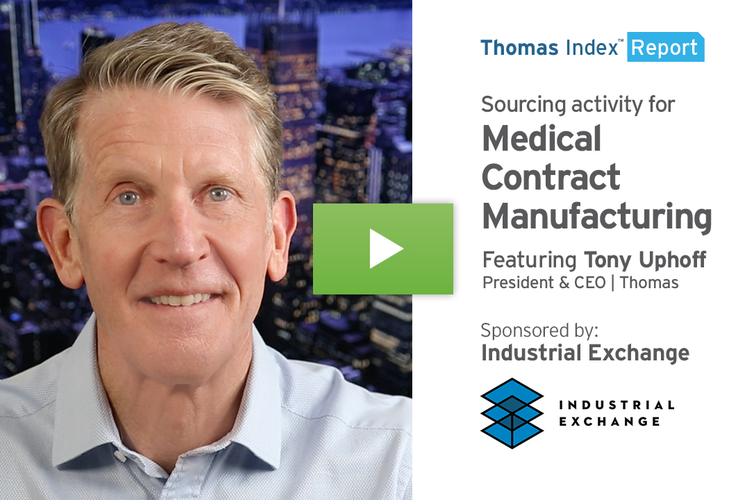 To get this weekly Thomas Index Report — as well as daily news and information for industry — sign up for our Thomas Industry Update newsletter at Thomasnet.com/Updates.